It’s been a week since I had my very first juicing experience. Overall, I say it’s something I’m glad I did. This 2014, I’m focusing on being healthy and hopefully to achieve abs. Hahaha. But seriously, more than losing weight, I want to start the year by learning to eat healthy. When I announced that I’ll go on a three-day detox, Mr. GJG was surprised and asked me if I can resist not eating sweets. He knows I’m such a sucker for sweets and the only fruit juices I like drinking are mango & buko (coconut). This got me more challenged, wanting to prove to him and of course to myself that I can do it. Detox through juicing means replacing each meals with juice instead. For someone who really, really loves to eat believe me, this is such a big challenge for me. Imagine giving up coffee, pastries (which I really love snacking on), chocolates & chips (huhuhu) and rice! OMG walang kanin! To top it off, during my three-day detox, I had to cook for my family. So that means I had no choice but smell & see but cannot taste the food I cooked! NKKLK! But here I am, sharing with you all my juicing experience because I made it. I survived and I was able to focus on my goal & I’ll share with you all some tips so you can do the same should you try to do juicing too. My three-day juicing was made possible by Juice Ko Jo who was referred to me by my friend Kelly aka The Traveling Boots. Juice Ko Jo is an organic, cold pressed, all-natural veggie & fruit juices. Named after its owner Jo, JKJ aims to make juicing a fun experience, affordable yet high-quality and delicious that you don’t have to pinch your nose while drinking healthy juices. Juicing is an easy way to absorb enzymes, vitamins, minerals while at the same time helps rehydration, restores alkaline, provides a cleansing action resulting to weight loss, clear skin and minimizes bloating. From left to right: Mean Green, Nutty White, Red Sunshine, Orange Zest, Mellow Yellow. Here’s my actual Juice Ko Jo kit. Each kit comes with an insulated bag containing 5 different flavoured juices in 350ml bottles, two teas and a detox guide to help you start your juicing. This particular kit is good for a one-day juicing and is at 1,000 php. MEAN GREEN– kale, spinach, romaine lettuce, apple, cucumber and lemon. It detoxifies and alkalises the body, antioxidant and high in amino acids. It promotes healthy intestinal flora, fights infection, wound-healing properties, helps skin disorders, protection from cancer and improves liver function. NUTTY WHITE– cashew and honey. Rich in zinc, magnesium, B-vitamins, copper and calcium. Its dairy-free and vegan friendly. RED SUNSHINE– beet and pineapple. Cleanses the blood, protection from heart disease and colon cancer. Detoxifies the liver and balances the blood’s Ph, improves metabolism and boosts energy. ORANGE ZEST-grapefruit, orange, carrot and mint. Increases metabolic rate, lowers insulin levels. Anti-oxidant, replenishes electrolytes and boosts energy. Fights diseases like fatigue, fever, diabetes, constipation, indigestion, heart disease, urinary problems and acidity. its also a liver tonic for the human body. MELLOW YELLOW– lemon, honey, cayenne pepper. This juice speeds up metabolism, swings body Ph and strengthens the immune system. Anti-oxidant, stimulates blood circulation and helps in purification. On my first day, I had to eat something apart from juicing because I don’t really want to faint haha. I eat more than 6 meals in a day so I know my body can’t handle abruptly shifting from that to juicing overnight. I had fresh lumpia for my first detox day. Apart from this, I had to replenish with some fruits and vegetables to gradually transition from a relatively unhealthy diet to juicing. Sadly, I had a migraine on my first detox day. It was my body’s way of saying its undergoing some major caffeine and sugar withdrawal. Also, hunger pangs kicked in come afternoon. It was bearable as I felt significantly full after I downed each bottle of juice. But to be honest, I was on a brink of losing it that I had to borrow the infamous line of buying people and clubs accompanied by a slap fest. Haha! I even posted about it on Twitter and on my Facebook! Good thing, I don’t have the guts nor the money to do so. Heehee. Also, I locked myself at home so that I won’t feel tempted to eat and do any bitching in public. 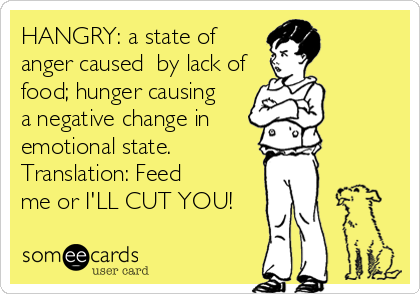 Because I am one of those people who are hangry! The first day proved to be difficult for me but I am very proud of myself for overcoming not eating sweets, chips nor having a cup of coffee. Although, I have to say I paid the price coz I felt sleepy and cranky the whole day. Nonetheless, it was one of those days that I felt accomplished. You can adjust the time frame depending on how you want to take your juices. As for me, I started at 8 am, munched on some fruits such as banana, a slice of apple, a few pieces of grapes and a serving of string beans and carrots in between my juice intakes whenever I feel hungry. My favourite color was the most challenging drink I had ever had. Truly this drink’s a meanie! On my second day, it was way better. No more migraine and my hunger pangs subsided. It was a smooth transition compared to my first day. I only had one banana apart from my juices. I felt like my stomach adjusted well and wasn’t anticipating more food intake. When the third day came, it was a breeze. I was partly sad that it was the final day I had to do juicing. As funny as it sounds, every bottle I drank that day I had to savour as I know it was the last time I’d drink them. During the three day detox, I noticed I peed more often, my skin looked better and I felt lighter and definitely less bloated. The day after I had my juicing, I didn’t actually craved for any solid food. I didn’t immediately had coffee, instead I had a cup of tea and ate whole wheat bread then I slowly added more solids such as vegetables, fish and pastries. I also didn’t had any sweets, nor junk food two days after my detox and surprisingly, I wasn’t craving for it. Three days after, I weighed in and lost 1 pound. Maybe because I was THAT bloated before and that 1 pound was all that water retention. I’ve learned that one should prepare prior to trying on juicing. The day before I had to do my detox, I indulged and ate whatever I wanted. That meant, I doubled my sweets intake and ate dinner like it was my last because I was so afraid I couldn’t survive without it for three days. For a moment I felt satisfied. The next morning, man was I hungry. It was a wrong move! So please, if you’re like me who loves eating A LOT and is planning on juicing, I suggest start replacing unhealthy food (read: sweets, caffeine, oily and processed) with vegetables and fruits from your diet at least two days. That way, your body has slowly adjusted even before you start juicing. Also, don’t do any strenuous work when you’re detoxing or juicing especially if it’s your first time. I was planning on working out during my three-day detox but I didn’t pursue as I don’t want to stress my body given that its undergoing a state of change. Also, listen to your body. Only you can asses your body and know its limitations. Know what works best for you. Each diet has a different effect on your body, one can be effective on you while another isn’t. So be sure that if you plan on trying detoxing, start gradually by doing a one-day detox first and still munch on fruits and vegetables. If you think you can handle it then go ahead with a three-day, no solids kind of juicing. Don’t forget to hydrate too as it is important that you drink a lot of water. Lastly, do detoxing or juicing for yourself not because its a hype now and that others are doing it. You owe yourself a chance to try cleansing impurities in your body, but if you’re only doing it just because, putting your health and wellbeing on the line then it is definitely not the way to do it. Be sure to consult your doctor first. My favourite Juice Ko Jo is this delicious Red Sunshine. I would recommend Juice Ko Jo for first timers who want to try juicing or detoxing. The juices are really delicious, I swear! Even the Mean Green, which is my least favourite but still tastes okay compared to other vegetable cold-pressed juices that I’ve had. Hopefully, I plan to do a regular once a month juicing to compensate my unhealthy eating. Like Juice Ko Jo on Facebook and follow them on Instagram. You may order Juice ko Jo by sending a text message at 0922-8634968. Hmmm. Should I do a 1-day or 3-day thing as a first timer?